This 12-inch Steelex D2493 Drill Press Clamp regulates quickly to lock the work-piece in any position. It comes with clamping pad that pivots to confirm to any work-piece to deliver consistent pressure. Steelex D2493 Drill Press Clamp 12-Inch can fasten to drill press slot holding vise-pliers tight where it is difficult for other clamps to reach. 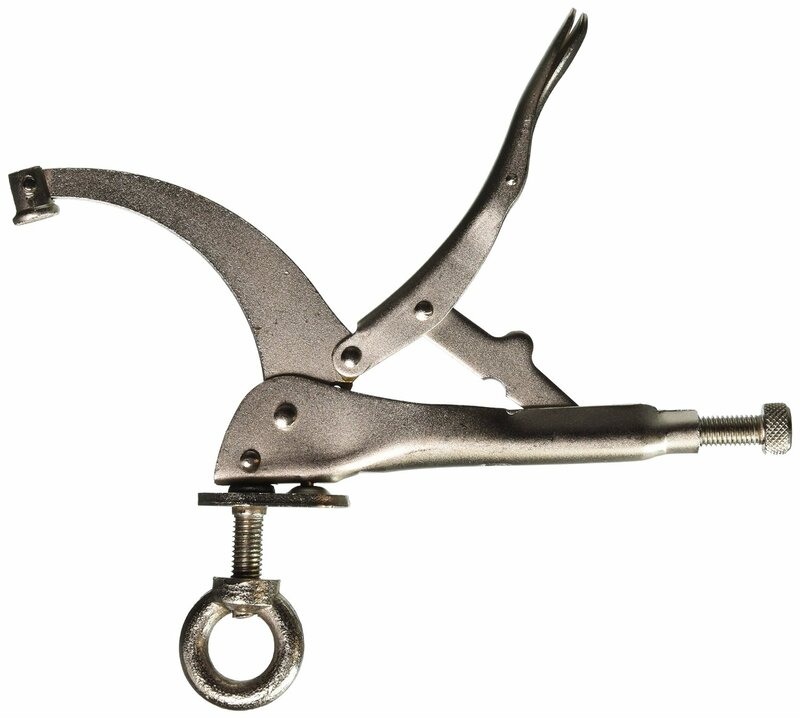 Steelex D2493 is a lightweight clamp that weighs 1.9 pounds and measures 13.5 x 8.1 x 1.2 inches. Craftsman 12 in. 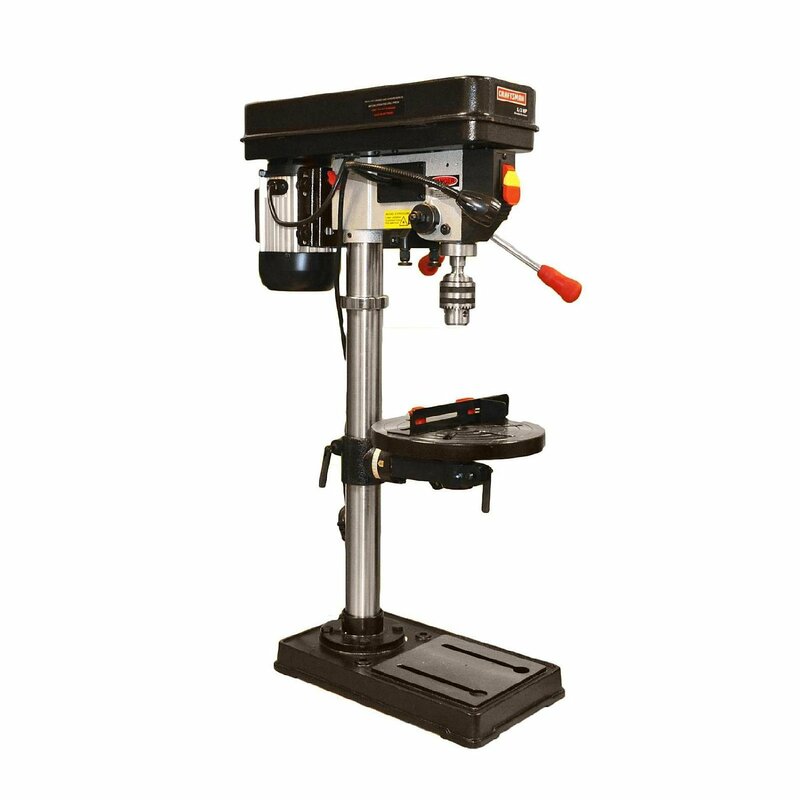 Drill Press deliver the desired performance and it is a great tool for DIY. It features swivel knob for convenient control, LED for increased visibility, adjustable fence with stop for frequent drilling. Craftsman 12 in. Drill Press has 5 speeds for numerous drilling applications. 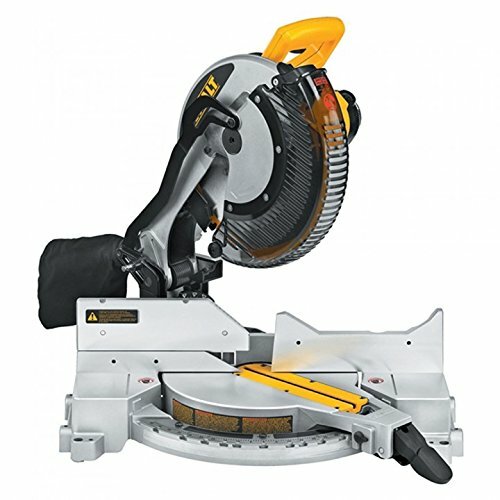 DEWALT DW715 15-Amp 12-Inch Single-Bevel Compound Miter Saw comes with great handle that is designed for added portability and this product is backed by 90-day money back guarantee. It comes with a carbide blade, a dust bag, blade wrench and comfortable side handles in the base. It has adjustable stainless steel miter detent plate with 11 positive stops. DEWALT DW715 has tall sliding fences that support crown moulding up to 5-1/4-inch, nested and base moulding up to 6-1/2-inch vertically and it can easily slide out of the way for bevel cuts.